Love is wind tunnel tested aerodynamics. Love is a new saddle that my tush hasn’t gotten accustomed to yet so it’s always sore when I ride. Love is so pretty that you don’t want to ever take your eyes off it. Love whispers your name in your dreams and begs you to ride her. Love is wanting to spend every waking moment riding the open road together. Love is riding while watching the sunrise. Love is riding into the sunset together. Love is working in tandem to complete a goal. Love makes you feel like you’re flying. Love is a new bike. I recently entered into a new relationship, not with a person but instead with my bike. We have an intense mutual understanding that cannot be found elsewhere. There is a give and take, but I cannot take more than I give. When my thoughts are at war with each other, my bike becomes my safe place. I get out on the open road and hash out just about anything with the hope and promise that peace will soon find me. Then in a stroke of odd luck, the stars aligned and for once the universe appeared to be on my side. By odd, I mean I was leaving the stability of the job that I had known for 6+ years but the change meant I would get some severance pay. Most would panic at this life change but I decided that panic had no place in my life and I would instead let life play itself out. I am a big believer in that ‘sometimes when good things fall apart, better things fall together’ (I probably killed that quote). I made the decision to go forward and buy the bike I had fallen in love with, the beautiful fiery rocket red 2016 Specialized Venge Pro. I have not regretted this decision one bit since I brought her home. We are still in the honeymoon phase, everything is bright and shiny and happy. I am working on learning her at the moment and trying to figure out exactly what she can do. She has a name, Princesa, which is perfect for her given her regal presence in her spot in the center of my house. She has already given me more than I could’ve hoped while helping me finish my most recent adventure, Ironman 70.3 Florida. I am sure that we will have our differences and bad times, as most relationships do. But, I also know that with plenty of hard work and love, the relationship will grow and blossom into a thing of beauty. I look forward to countless more hours of being in her presence, to learning all her nuances, to many more adventures. Life is an adventure and what is any adventure without true love to experience the adventure with? When I started cycling religiously, my life was in a very dark place and I believe I was cycling to gain meaning. I needed something to hold on to and cycling gave me an arena to feel free and happy. I knew the passion Steve had for cycling and I started reaching out to him for help with everything cycling, especially things I felt too dumb to ask other people. He answered anything I asked, despite some things probably ACTUALLY being dumb questions. He was very patient with my nonsense and began subtly giving me pointers and goals to work towards. He had become my coach inadvertently but very much on purpose at the same time. I began riding more and more and more. 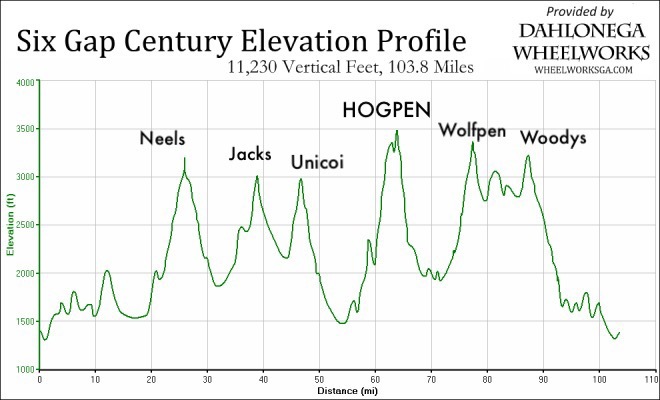 He convinced me to sign up for mountain ride after mountain ride, each harder than its predecessor finally culminating in the Assault on Mt. Mitchell (each of which I described in earlier blog posts The Journey Towards a Century Ride and The quest towards a century ride, REALIZED.). I am not sure if he believed in me, liked having someone that faithfully gave into his torture (although I rarely did what he told me to when he told me to do it, I’m hard headed like that), or liked having someone to ride with. Whatever his reason was for helping me, this usually very quiet man took me under his wing and changed my life forever. He taught me pretty much everything I know about cycling and cycling essentially save my life. Cycling gave me a purpose. Cycling gave me light and smiles again. Cycling gave me confidence. Steve pushed me and forced me to find the confident women that I had hidden for entirely too long. I am not sure if that was his intention but it was certainly what he did. I can pinpoint moments on all the big rides I have done with him where I wanted to give up and throw in the towel and he wouldn’t let me. The weird thing is that he didn’t force me to do things or ridicule me into doing them; he just had a way about him that made me want to push just a little bit harder and NOT give up. His quiet, yet very obvious presence demanded a level of hard work from me that I am not sure I had ever doled out before. He helped me, knowingly or unknowingly, complete some of the biggest achievements of my life. Earlier this year when I decided that I wanted to begin training for Ironman, Steve began coaching me about running. He gave me pointers on running, training, and told me what books to get. 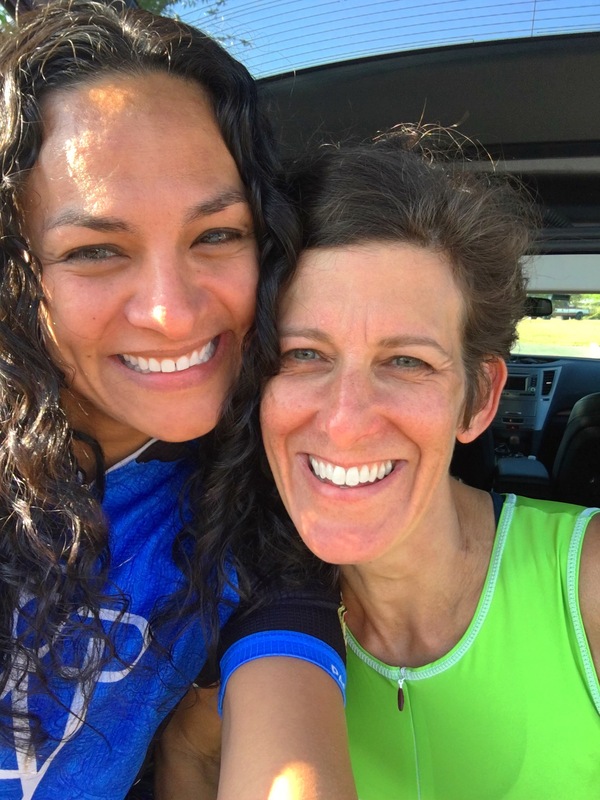 When I decided to sign up for my first half marathon in Miami, he signed up soon thereafter and, although we didn’t run together, I was able to know that somewhere on that course was my coach cheering on my finish. His voice is a constant in my head when I am training whether it’s in the gym, in the pool, out on the bike, or out on a run. He is always there telling me what to do and the right way to do it. I am not saying that I always listen, but I certainly know how he would have me do whatever I am doing. As I mentioned before, I am a hard headed person and it often takes me a while to give in to whatever thing he wants me to do but eventually I do and I always end up with my tail between my legs admitting I was wrong and should’ve done it sooner. There will never be a way to repay the service that he has done for me so the only thing I can do is continue chasing my dreams and showing him how good I can be. Doubt and fear enter my mind a lot when I think about the athletic feats that I want to accomplish in my life but every time “I can’t” slips into my mind, Steve saying “why can’t you” is never far behind. On Sunday night, Steve and I were hanging out with two of our friends when they began asking us about whether we had ever “hooked up” and why we hadn’t. I tried to explain but I think that my explanation just made our friends believe me even less. You see, we haven’t ever and we wouldn’t ever for probably a multitude of reasons. It is not to say that there hasn’t been ample opportunity for such a thing to happen, it just isn’t something that is in the cards. So when you hear me call him my “cycling husband,” know that I don’t mean that in the carnal sense, he is everything that is supposed to be good about a husband with none of the extra drama. Thank you Steve for everything you have given me and all the gifts you have bestowed upon me. There is so much more that I would say but I truly can’t find the words to describe how thankful I am. No matter how many times I have read through this post, I still don’t feel like it has adequately expressed the gratitude and love that I have for everything you have done for me. You are one of the most special people in my life and, no matter how much you aggravate the hell out of me, your opinion is always one of the first that I ask for. I look forward to crossing the finish line of Ironman Florida 70.3 on April 10, 2016, a race dedicated to you. Without your push and the faith you’ve had in me, I wouldn’t be where I am today.